By Elizabeth McDade-Montez, PhD, Senior Research Associate, ETR, and Rebecca A. Dore, PhD, Senior Research Associate, Crane Center for Early Childhood Research and Policy, The Ohio State University. This post originally appeared on ETR’s blog. (November 14, 2018) Harry Potter is the best-selling book series of all time. 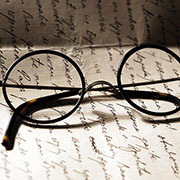 The books and their derivatives have made author J.K. Rowling the world’s first billionaire author. The novels and subsequent movies are certainly engaging and entertaining. Indeed, entertainment is the primary goal of most media and works of fiction. But how we engage with fiction and media is a serious area of study for researchers in fields as diverse as psychology, education, literary studies, philosophy and communications. These scholars are asking questions like: Why do we become so invested in characters and stories that are not even real? What factors determine how much we enjoy a particular piece of media? And, perhaps most intriguingly, how might media affect us even after we put down the book or turn off the TV? The popularity and success of the Harry Potter series has made it a prime focus for investigating how it may affect its young (or even not so young!) readers. Researcher Loris Vezzali and colleaguesconducted three separate studies exploring the impact of Harry Potter on reducing prejudice toward stigmatized groups. Their study populations included elementary, high school and college students. In the first study, fifth graders heard passages from Harry Potter and engaged in group discussion led by a researcher, once a week for six weeks. In one condition, students heard passages related to prejudice. For example, Draco Malfoy, an adversary of Harry Potter’s, insults Harry’s friend Hermione Granger by calling her a “filthy little Mudblood.” This slur means that she has non-wizarding parents. In the control condition, children heard passages unrelated to prejudice. For example, they read the scene where Harry goes to Diagon Alley with Hagrid to buy his magic wand. Children were surveyed about their attitudes toward immigrants before and after the intervention. 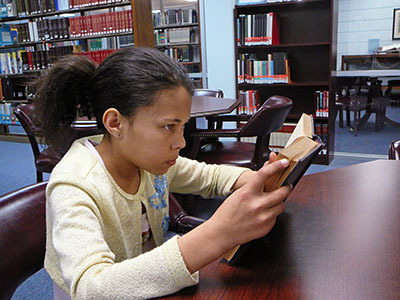 Results showed that reading passages related to prejudice was associated with significantly improved attitudes toward immigrants compared to the control group. Next, the authors conducted a survey study with high school students. They found a significant association between reading Harry Potter novels and having more positive attitudes toward gay and lesbian individuals, but only for students who identified with Harry Potter. In their third study, the authors surveyed college students about reading Harry Potter and their attitudes toward refugees. A significant association was found between reading Harry Potter novels and more positive attitudes toward refugees. The authors also showed that this relationship was explained by the extent to which readers reported being able to take the perspective of refugees—that is, being able to see the world from their perspective. The authors conclude, based on these three separate studies, that fiction can have positive impacts on attitudes toward groups who commonly face discrimination, such as immigrants, the LGBTQ community and refugees. As magical as Harry Potter is, the series about the boy wizard may not be unique in these effects. 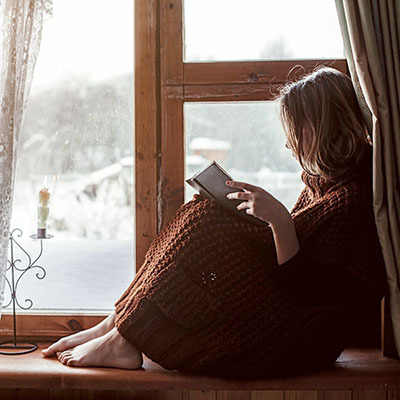 A number of studies have found that fictional stories can reduce prejudice and make us more empathetic towards people who are different from us. 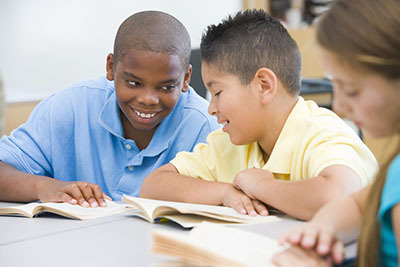 For exa mple, researchers in the UK found that reading stories about friendship between a disabled child and a non-disabled child improved elementary school students’ attitudes toward disabled people. Another study with college students found that watching TV shows featuring gay men, like Queer Eye for the Straight Guy, led to reduced prejudice towards this group. Other research has suggested that taking the perspective of a character who has experienced discrimination might be an important pathway towards reducing prejudice and increasing empathy. In other words, maybe fiction allows us to walk a mile in the shoes of a character whose background or experience is different from our own. Seeing the world through their eyes might reduce our negative attitudes towards their group. For example, in one study researchers had mostly white college students read a story about an Arab-Muslim woman who defied stereotypical expectations about her culture and religion. They found that reading the story increased empathy for and reduced prejudice towards Arab-Muslims as a group. Strikingly, the researchers also compared students who read the full story to students who read a shorter version that had the same counter-stereotypical information but didn’t have the same descriptive language, inner monologue and so on that is common in fiction. 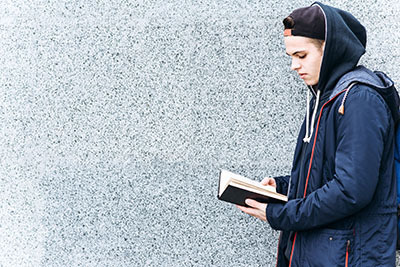 Only students who read the full story showed reduced prejudice afterwards. So it seems like it is the story itself that is important, beyond just being exposed to an example of an Arab-Muslim character or to information that goes against stereotypes about that group. Stories might be unique in their ability to prompt us to see the world from a perspective that is different from our own. Media is pervasive in our lives. We typically think of it as pure entertainment, something that we do for fun. But it’s clear that even fictional stories can have real and meaningful effects on our lives. Reducing prejudice, increasing empathy, and taking the perspective of people who are different from us can seem like overwhelming challenges in today’s divided society. And media certainly isn’t a cure for all that ails us. But recent research is beginning to show that media that grapples with issues of prejudice, provides examples of positive inter-group relationships, or helps us walk in someone else’s shoes, may be a valuable part of the solution. Have you experienced these sorts of effects with students or youth in your own life? What lessons have you seen communicated through fiction? What stories or literature do you believe are likely to make a difference for young people? We would enjoy hearing your perspectives on these approaches. Elizabeth McDade-Montez, PhD, is a Senior Research Associate at ETR who has studied the influence of media on children and adolescents. She can be reached at liz.mcdade-montez@etr.org. Rebecca A. Dore, PhD, is a Senior Research Associate at the Crane Center for Early Childhood Research and Policy at The Ohio State University. Her work focuses on how children learn from media. She can be reached at dore.13@osu.edu.